If you’re looking for high octane action, look no further then ice hockey. It’s one of the most thrilling professional sports and it has it all: magical skill, exceptional competition, and the occasional fisticuffs to wake the crowd up. At Mr. Green, you’ll find a number of betting markets with games from countless professional leagues and global competitions. But wait! 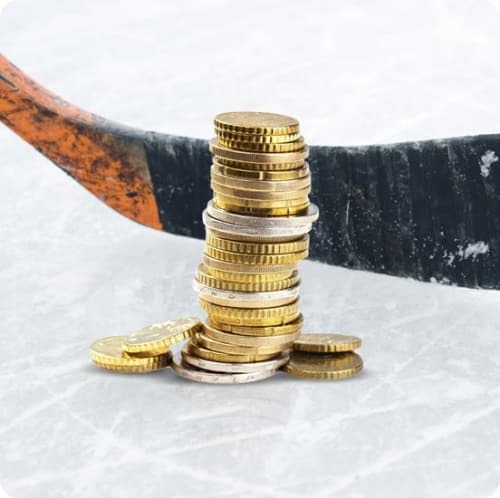 Before you dive into the dizzying array of selections, let’s quickly go over a few tactics that are important to consider when betting on ice hockey. Firstly, when considering the NHL, one key thing to be mindful of is the regular season schedule. Depending on the conference, NHL teams are put through the wringer in terms of the distance travelled to away games all the while managing the gruelling competition on the ice. It might seem like a lot, but the nuances of a teams schedule can be the deciding factor in a team achieving a successful result within the parameters of a defined bet. It’s important to consider the live factors that also develop throughout the game while keeping track of the enthusiasm of the players during key stages of the game. It’s important to remember that ice hockey is unlike most professional sports available for betting. Ice Hockey players within the NHL are a among a select group of highly skilled players who can both skate at an exceptional level while also being expert technicians. Add in the required stamina needed for a single game and it quickly becomes clear why the schedule is an important thing to consider. 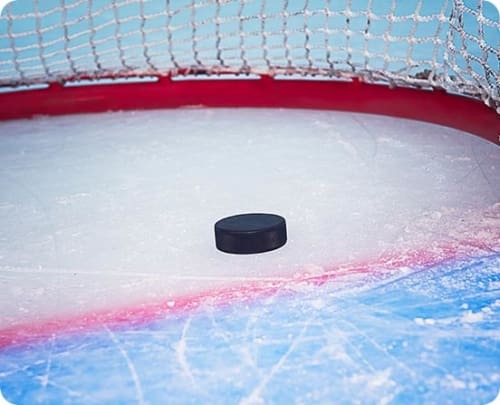 One of the most hotly debated issues within ice hockey, goalies are lightning rods for discussion among bettors when considering the competitiveness of a line. Over/Unders, Win Totals, and Live Betting are all markets that are heavily influenced by the performances of goalies. As athletes, goalies are often oddballs, with their own tics and eccentricities that greatly affect their success on the ice. It’s important to a look at a goalie’s recent record and how they’re trending at that specific moment in the season. A starter could have bad month while his backup could string together a number of Vezina Trophy-worthy outings. It’s all about trends with goalies and you’d be smart to remember that. Another way of evaluating a betting line is by comparing the bookmaker’s listed line to the one you’ve workshopped yourself after careful analysis and research. While this may sound intimidating, here’s an easy way to assess lines in the short term while you’re building out comprehensive research systems. Let’s say the Ottawa Senators are visiting the Toronto Maple Leafs in a battle of Ontario. After combing through the relevant information, you’ve decided that the Maple Leafs have a 60 percent chance of losing to the Senators. Turning that hypothesis into an equation would look like this: 6/4 or 2.5. Now, if the line you’re evaluating is on either side of this number, you’ll be able to judge whether or not the selection would be a value proposition. Again, this is greatly simplified, but an easy way for you to begin to work out the competitiveness of a line. Ask any successful bettor about their key to success in sports betting and they’ll tell you about the importance of gaining an edge through value. Identifying inefficient betting markets is an easy way to long term profitably as a sports bettor. How do you consistently spot value? A clear and well thought out strategy with as much bias removed from the selection process is one popular tactic, however, this needs to be fine-tuned for each individual betting market. In the case of ice hockey, looking to less often considered betting markets, say individual player props, Over/Under, and Live Betting; chances are you’ll find inefficient lines waiting to be exploited. Yes, betting limits will be restricted in most cases, nevertheless, a strategy built on value betting is a great tactic for bettors new to a particular sport. At Mr. Green, you’ll find the most expansive and varied betting markets of any online sportsbook. Goals are a really interesting market when considering ice hockey. To a layman, ice hockey might be considered a low-scoring sport lacking the back and forth excitement of Tennis and the NBA. Thankfully, when betting at Mr. Green, you’ll be able to wager on Total Goals, Both Teams to Score, and predicting the Correct Score at the end of the game. Total Goals refers to the number of goals scored at the end of the match. Ice hockey games are mostly consistent when accounting for total goals scored across every game during a season. A simple regression model or good old fashioned elbow grease should be enough to start making competitive selections within this market. Both Teams to Score is a more difficult selection to parse in comparison to Total Goals. While it’s rare for a team to not score in a game, especially in the modern era of the NHL, a lot of seemingly random factors can influence a result. Again, a teams schedule is an important metric to consider when evaluating this option. Finally, Correct Score is the successful prediction of the final score of the game once concluded. Another betting market that’s open to randomness, when controlled for a few factors, like schedule and competition, it can become a more manageable selection. 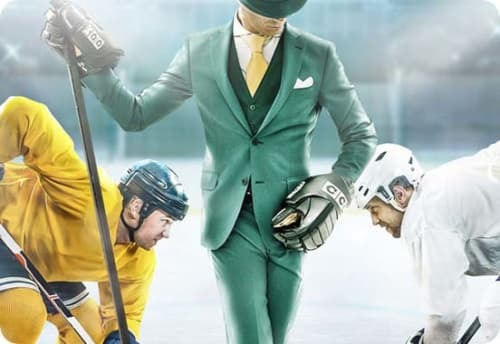 If it’s not evident already, ice hockey is one of the most interesting sports with fantastic betting markets that make games can’t miss entertainment. At Mr. Green, you’ll find a wide selection of betting markets that will keep you wonderfully entertained. Don’t miss out! Join now!